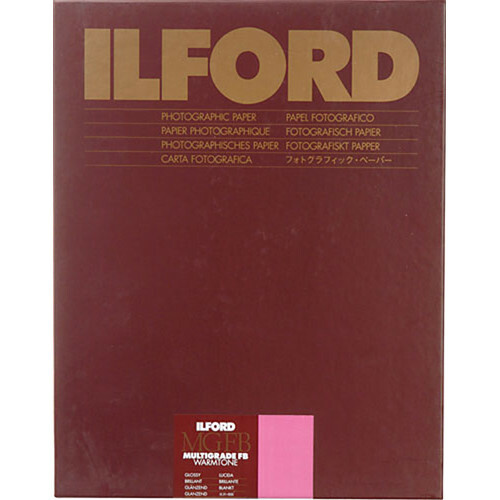 This is a 10 sheet box of Multigrade Resin Coated Warmtone Paper from Ilford. It is a premium quality, variable contrast black and white resin coated paper that has a warm black image tone on a warm white base. You can use this paper for everyday studio printing, portfolio or commercial work. Box Dimensions (LxWxH) 25.0 x 20.6 x 0.8"